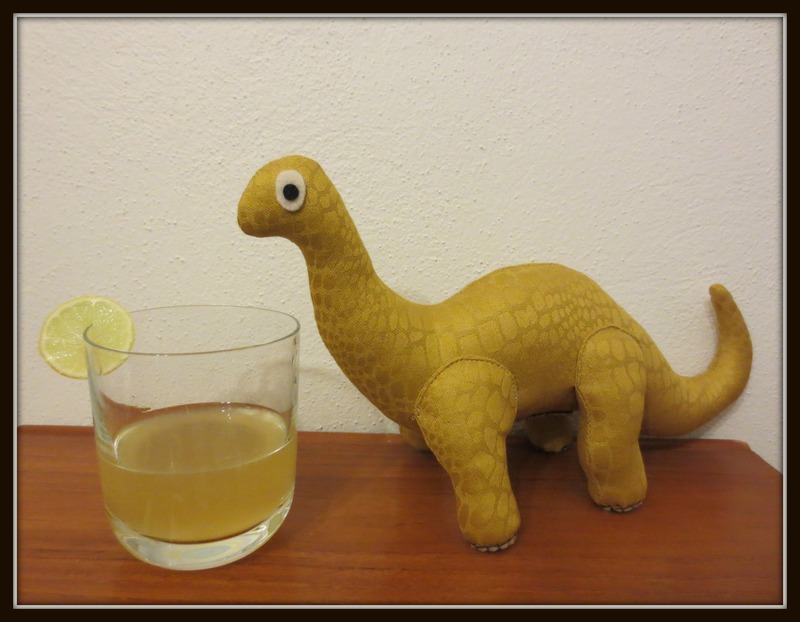 On a long, slow, hot day, when all you want is an ice-cold beverage….don’t make this drink. Make a mint julep or a Tom Collins or a Southside – they’re easy and refreshing. 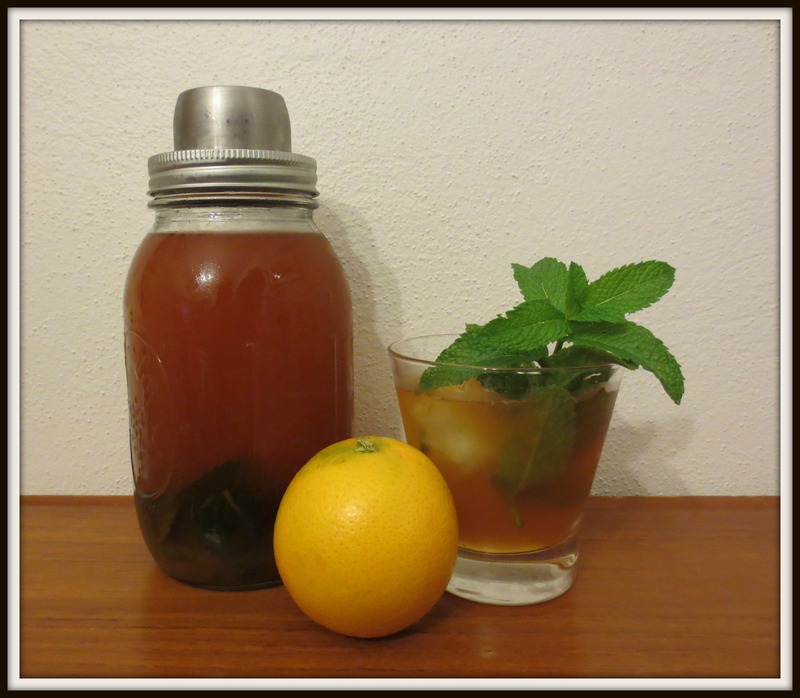 Southern Mint Tea – similar to the sweet tea that’s served in the Southern parts of the USA – is easy and refreshing, too, but it takes aaaaaages to make, since you have to wait until the tea is cold – ice cold – before you can serve it. The good news is, it’s worth the wait. This heady, instantly addictive mixture – not too sweet, not too tannin-y, with as much or as little bourbon as you’d like – tastes like the kind of thing you’d sip while sitting on a back porch in a cane chair overlooking your plantation, fanning your face occasionally as beads of sweat trickled down your face in a somehow alluring, not gross, manner towards your pristine white outfit, just like in all those cliched movies you’ve seen set in the South. This will make about 2 litres of iced tea, which is about 16 serves. It’s delicious as it is but it seems to be missing something….ah yes, the bourbon. It’s up to you how much you add per serve – I used 45 ml, but you might like to make it weaker/stronger. Don’t use your best bourbon – save that for a fancier cocktail. I used a cheapie and it worked out just fine. Boil 4 cups of water and pour into a large bowl or saucepan. Add the tea bags and sugar and stir until the sugar has dissolved. If your tea bags have those little paper tags on them, you might like to cut them off before adding the bags to the water. Otherwise you’ll end up with soggy bits of paper in your drink. Ugh. Leave it to steep for 10 minutes, then remove the tea bags. Just before serving, add the mint leaves and bruise them against the side of the jug/saucepan with the back of a spoon so they release their refreshing flavour. Half-fill a tumbler with ice, then three-quarters fill the glass with ice tea. Strain out the mint leaves as you go, or leave em in; it’s up to you. 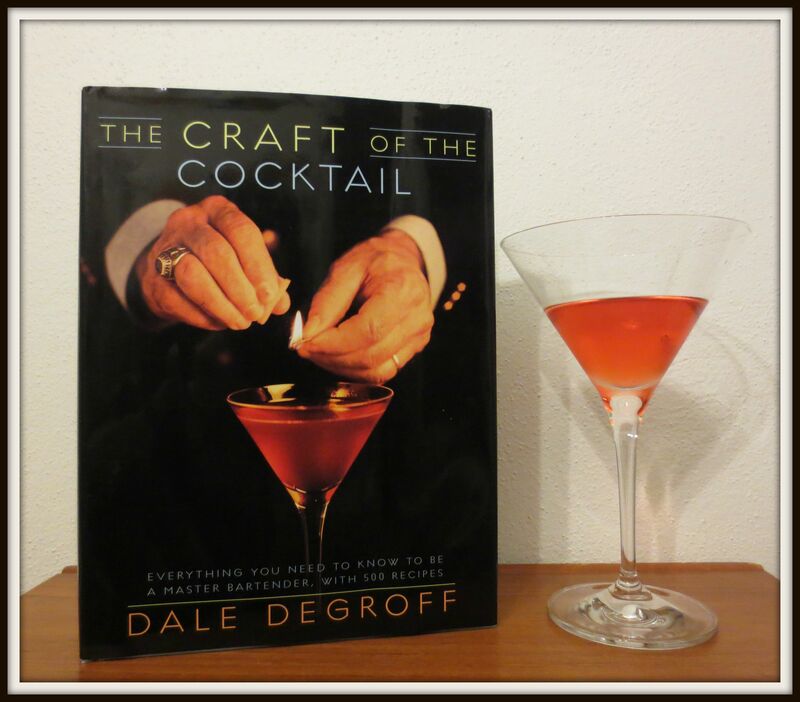 Add however much bourbon you like (as I said, I used 45ml), garnish with a mint sprig and serve. Store any leftover ice tea in the fridge; it will last for a few days. If you’re feeling especially hipster-ish you can store the leftovers in a mason jar, like the one below, which has been converted into a cobbler-style cocktail shaker. Bonus: thanks to the in-built strainer, it’s easy to strain out the mint leaves as you pour yourself yet another glass. The hardest part is the long, slow wait for the tea to cool. It’s best to make the tea the night before you plan to serve it so the wait isn’t so frustrating (translation: you can let it cool while you’re drinking something else). 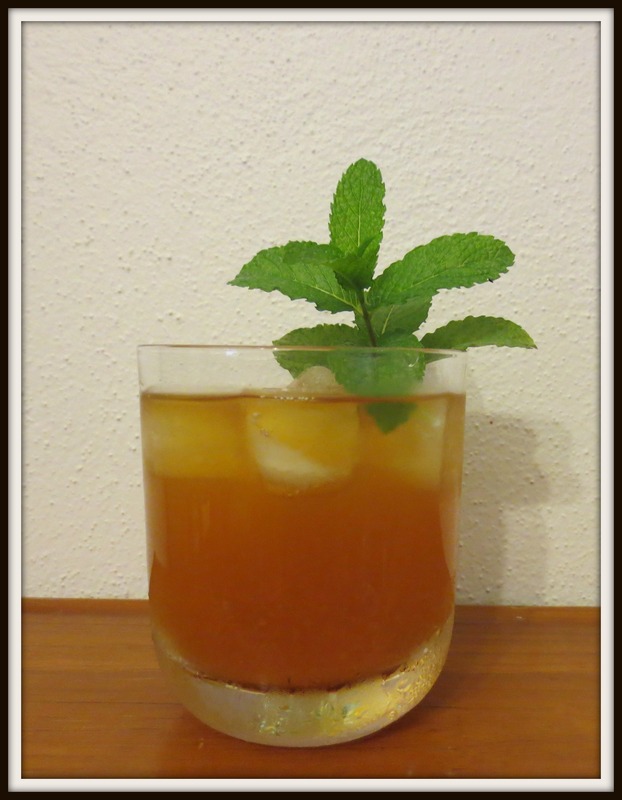 This Southern Mint Tea recipe is a mash-up of this recipe by The Bitten Word and this recipe by Joy the Baker. So while we’re claiming it as our own, really, we couldn’t have done it without them. What does adding it to a julep do? It takes the edge off the bourbon, sweetens the drink and lightens it, making it even more perfect for a hot summer day than a regular julep. And it totally counts as a serve of fruit, right? 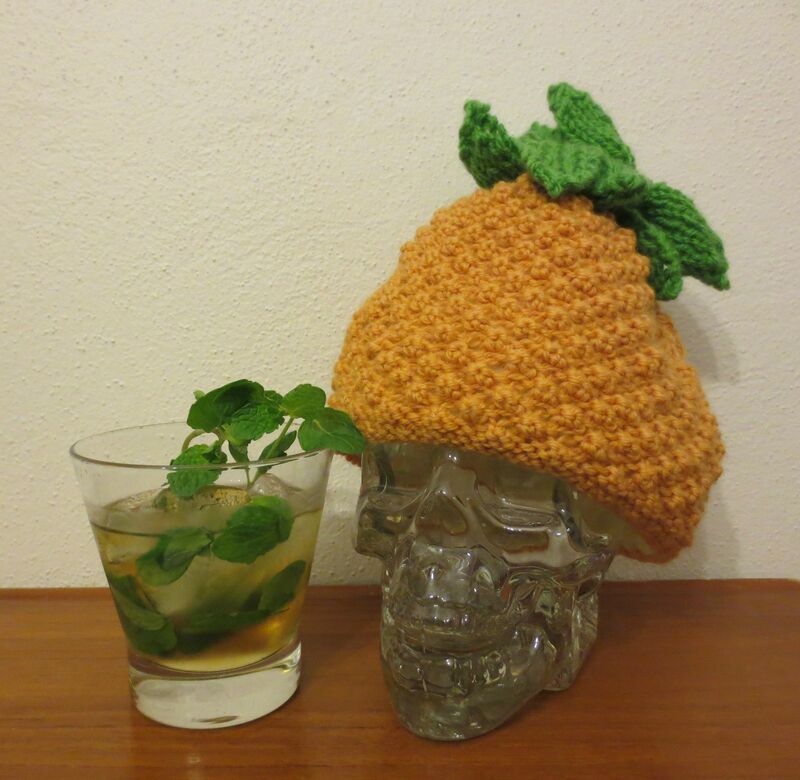 Place the mint leaves in the glass and pour in the white nectarine vodka and sugar syrup. Stir gently to combine. Add a heap of crushed or cubed ice and stir again. Add the bourbon and peach bitters and stir again. Garnish with the mint sprig(s) and serve. If you’ve got the white nectarine vodka handy, this one’s easy. If you don’t, the hardest part will be waiting several months for the fruit to infuse with the vodka, in which case we highly recommend drinking something else instead. This one’s by the clever folk at 52 Cocktails. Enjoy!